20% Off Only Until Wednesday! 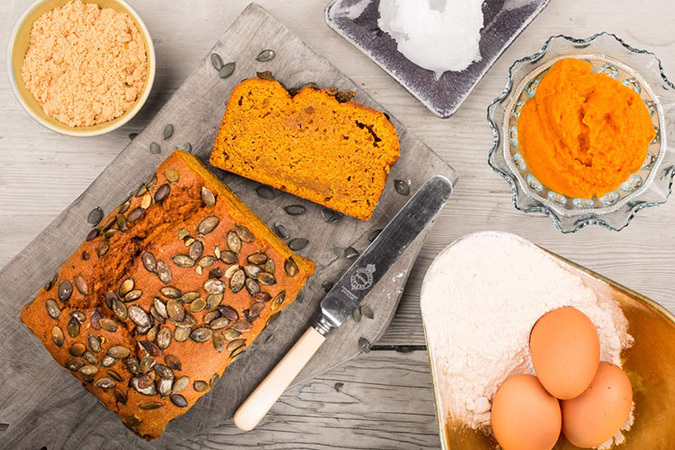 A lightly spiced moist pumpkin bread made with pure coconut oil. Fantastic as it is or try toasted with butter on the side! Our Loafcakes come with their own cutting guide on the box for perfect portion control. Sugar, pumpkin puree (24%), wheat flour, coconut oil, free-range egg, pumpkin seeds, spices, raising agents, salt.